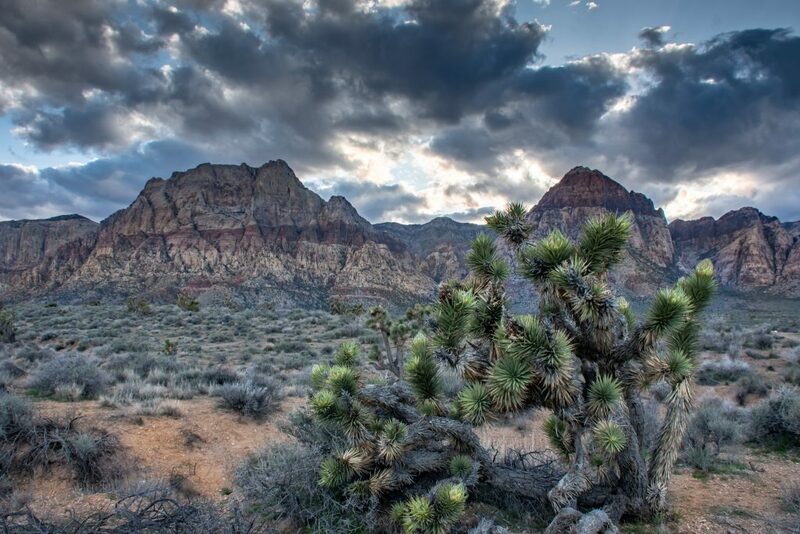 First thing this morning we drove into Las Vegas and to the National Indoor RV Center located there. I’d had conversations with someone from the home office, and then someone from the Las Vegas location about fixing the stinky-slinky storage tube – which by now we realized had to be completely replaced. After spending some time with a nice gentleman there, I got some information about who to call on Monday and we left to have some lunch, then check into a KOA. 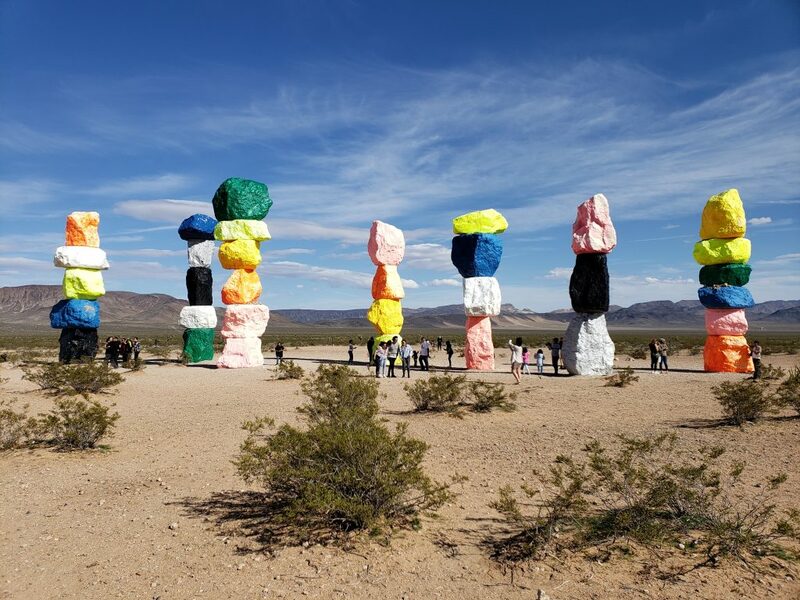 Next we drove out to see the Seven Magic Mountains, an art installation along the side of highway 15 done back on 2016. It was a weird sort of sculpture. To me it looked like a bunch of colorful marshmallow boulders. But it was one of those kitschy roadside attractions you just have to go see when you are in the area. 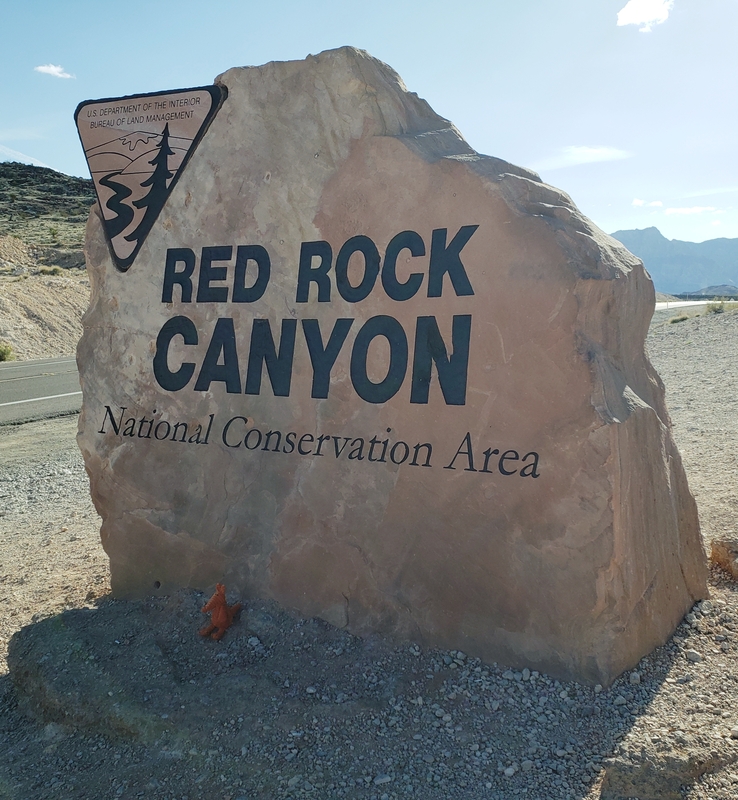 Afterward we donned our hiking shoes and drove into Red Rock Canyon National Conservation Area, presented our National Parks Pass and drove along the scenic drive. It was getting late so the sun was painting some pretty colors on the rusty sides of the mountains on the east side of the loop. 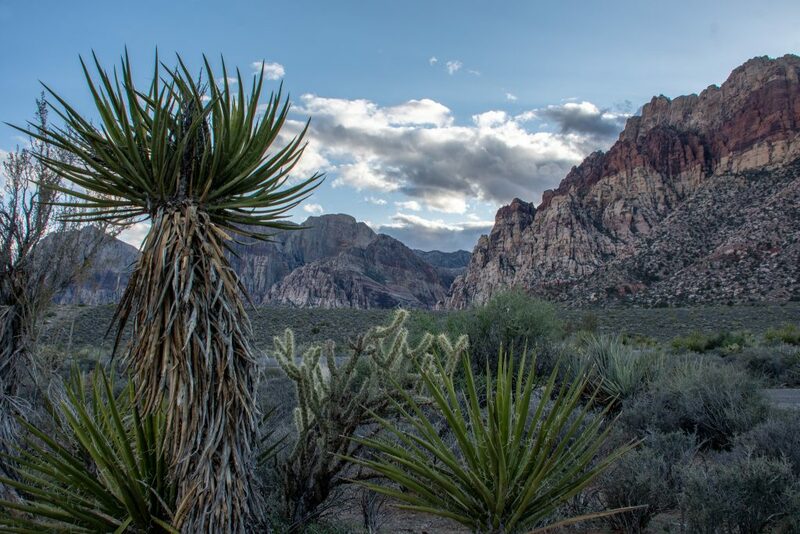 On the west side, clouds formed up over the mountains there and gave me some great opportunities for some bracketed shots of the desert and the mountains. Alan spend his time hunting for critters. On the way back to camp, Alan caught sight of one, not very photogenic burro.